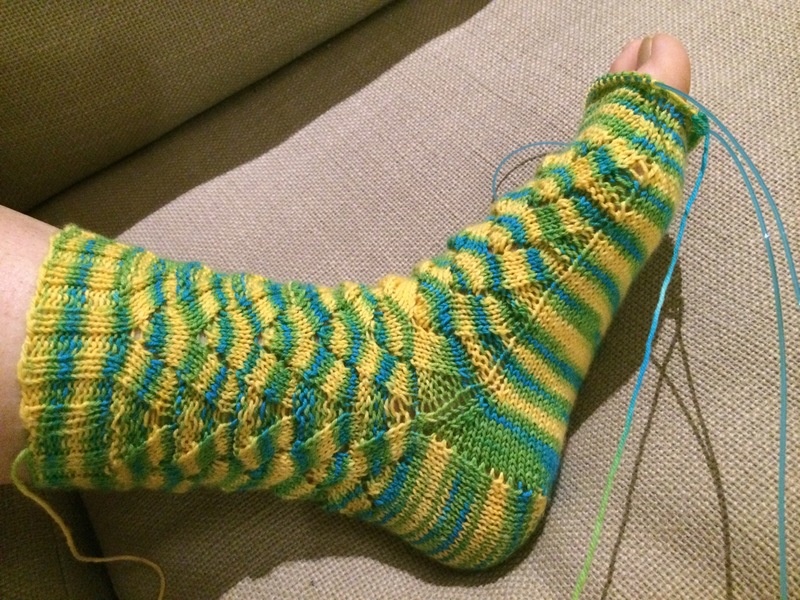 I thought I might finish my Monkey socks tonight, but I’m not quite there. OHHH SO CLOSE!! Do you have sore cramped fingers from trying? I know that feeling. . .